Car enthusiasts? I see them all over social networking sites, wherein they post photos of their newly customised cars, and other enthusiasts would interact with them as well. If you are an enthusiast, and you want a place where you can really have a focused discussion and sharing of car-related posts, this FREE app is for you! Created by Crazee Apps Inc. (one of AppLabs Digital Holdings' app development companies in Hong Kong) and AppLabs Digital Studios Inc. (in Eastwood City, Philippines), this app aims to connect car owners and fans all over the world, so that they can learn from each other's updates, and find friends through same interests. You can follow users to keep yourself updated with them, as this is obviously a social networking app. To follow other users (or ZOOMERS, which is what you call "followers" through this app), you can "Zoom In", or "Zoom Out" if you want to unfollow. To interact, you can leave comments, LIKE, or SHARE the photo of the user. You can easily invite friends and share your CarCrazee photos to Facebook or Twitter. Get updated with what's hot in the world of autos through car-focused news. You can upload 10 photos per album (to keep the albums organised), but you can have unlimited number of albums. You can search by models, brands, location, and users, or just easily EXPLORE various public posts by other users. View popular cars that were "LIKED" by other users from all over the world. This shows the brands that are usually adored and used by enthusiasts all over the world. If there are any inappropriate photos, you can easily flag them to minimise abuse of the app. This app is very easy to use. You just need to register for a free account, or use your Facebook to sign in. To navigate the menu and access other features, you just need to swipe the menu bar ( at the bottom ) to the left, and choose which feature you want to check out. 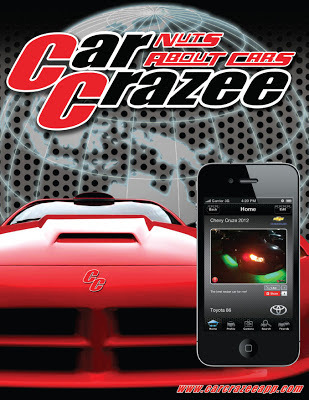 When it comes to CarCrazee's features, I must say that this is a really great app to connect car enthusiasts all over the world. I know people who put all their efforts into customizing their cars, and having this app can give the recognition that they deserve. Aside from that, other customizers can get ideas from other fellow car users as well, by exploring their posts. I had fun browsing various car photos, and I know you will too! 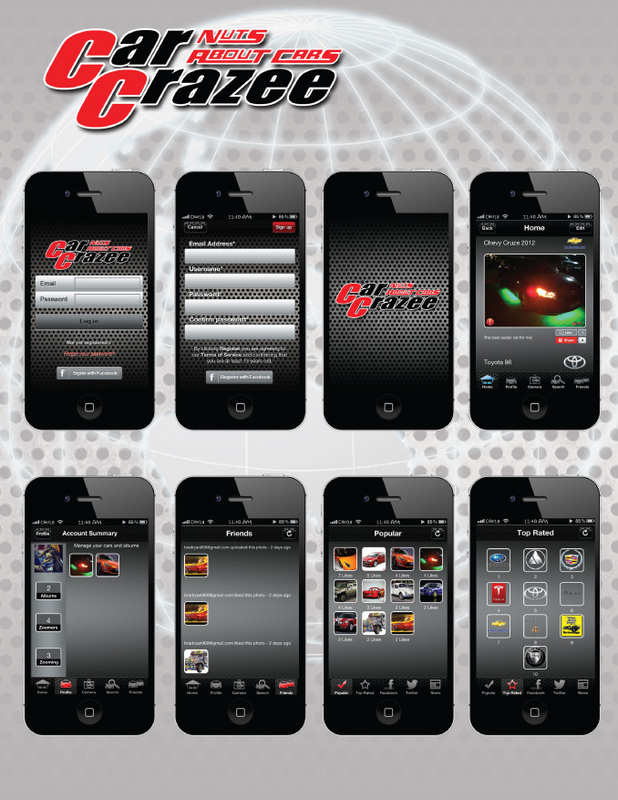 So if you love cars so much, give this app a try. For a free app, this one is worth the download. Download this app through iTunes.